While I was out with our Spanish friends in Glendalough this afternoon, Pádraig did what we all had been waiting for for some time now. Something simple, in one way, but pretty spectacular in another. Someone had brought in some chocolates (yes, I know, it’s lent:). They decided to put one piece of this really nice chocolate near his fingers on a table standing in front of him and helped him a bit to pick it up. Here comes the “first”: with the piece of chocolate in his fingers, he lifted up his arm and his hands, opened his mouth and put the chocolate in his mouth. Boom! This ever increasing level of control and independency also includes making people laugh, smiling at people, and spelling out jokes on people. You should have seen him when the really colourful and larger than life mother of one of his friends came in yesterday to leave some food she had prepared for him, gave him a big hug and a huge kiss on his cheek while asking for ‘forgiveness’ because she had forgotten to put on her usual strikingly red lipstick that morning! 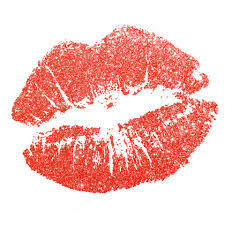 At least, she said, no-one had to wipe off the big red mark her kiss would have left on his cheek! Even when disaster strikes, there is always a positive aspect to it:) – And he was, together with all of us in the room, laughing his head off. What must have made him even happier than that remark was surely the feeling that he could share his happiness with us. Which is (a good bit of) what life is all about!